NEW YORK — You never know who you might run into while making your way around the Big Apple. Last night, a few of us dotcomers realized we were parked a few bar stools away from the one and only Steve Lemme, of Super Troopers and Beerfest fame. The man was actually nice enough to buy a few rounds for us, too. Quality. Prior to making it down to Chelsea to hang with a B actor, I was at a different spot with Anthony Castrovince of indians.com. Who woulda guessed we’d run into a local high school spanish teacher who has Yankees closer Mariano Rivera’s son as a student. Small world. 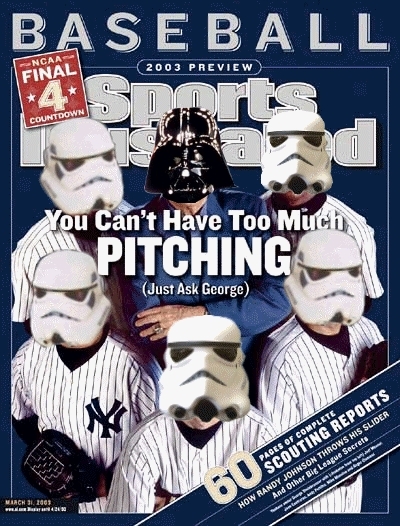 Today, it’s back to the ol’ ballpark, where the Empire is trying to stave off elimination in the first round for the third straight season. Earlier today, the Boss — Yanks owner George Steinbrenner — said in one publication that manager Joe Torre’s job status after this year hinged on winning the ALDS. I don’t know if I agree with judgin’ Joe on this series. The fact that New York made the playoffs after being 14 1/2 back at one point should be enough to bring Torre back, in my book. If the Bombers do indeed lose today, the fallout will definitely be interesting. Roger Clemens and Andy Pettitte will mull retirement again, Jorge Posada and Rivera are free agents, and A-Rod may opt out. Speaking of which, I’m sick of these nicknames like "A-Rod", or "V-Dub" for Vernon Wells in Toronto. I suggest we start getting a little more creative with our monikers. 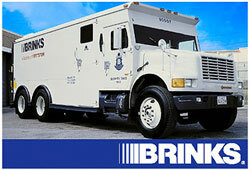 For Rodriguez, I’ll throw this one out there and see if it sticks: The Brinks Bomber. Any takers? Nixon in the lineup tonight because of his success against Clemens. Nixon goes deep tonight but Westbrook will not get past the 5th. What is going on with your Spartans? Northwestern beat them, come on now. Duke beat Northwestern!!! Where is Nick Saban? George Perles? No D in East Lansing this year!!! Joe Torre might be one of the few managers who win manager of the year and get fired. We do have a new name for A-Rod-it’s Stray-Rod. Clemens and Petite are both gone, so it could be quite a different team next year. Torre will not win manager of the year in the A.L. How could he with that talent and that payroll? I could see Torre end up in St. Louis or Cinncinatti or the broadcast booth. Either way the guy is going to Cooperstown because of his championships in N.Y.
Davey Johnson was manager of the year but the same day it happened he resigned. Some things in this world you can’t make it up!!! Damon is carrying the Yankees tonight. Yankees score quick don’t they? Westbrook is holding on for dear life. Cleveland’s first 2 starters are dominating but Westbrook and Byrd are WEAK!!! That will be the Tribe’s downfall, Westbrook and Byrd.